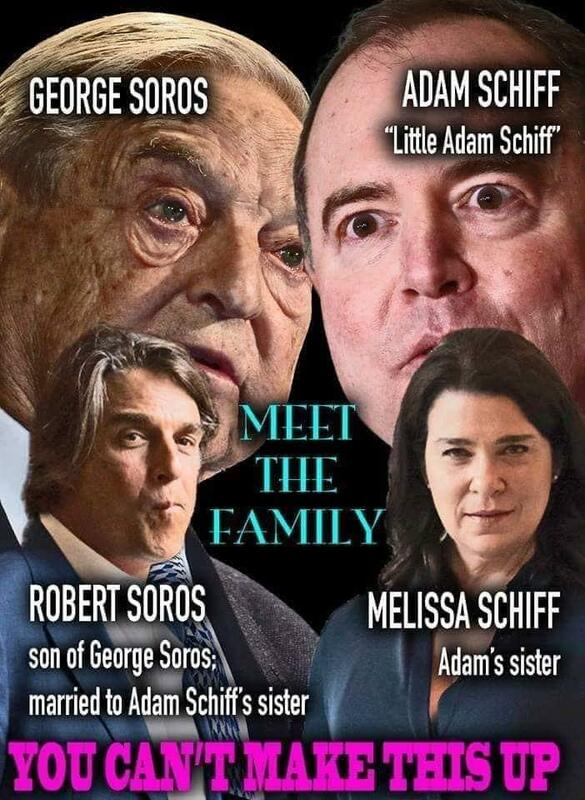 Is Robert Soros, the son of George Soros, married to Melissa Schiff, sister of U.S. Representative Adam Schiff (D)? No, that's not true: Melissa Schiff is not related to Adam Schiff and the marriage ended in a divorce several years ago. See who's related to who... Soros again behind the scenes. It turns out you can make this up because somebody did. In this Tuesday, March 7, 2017, photo, House Intelligence Committee Ranking Member Adam Schiff, D-Calif., speaks with reporters about the committee's investigation into Russia's involvement in the 2016 U.S. presidential election. 1. Adam Bennett Schiff was born June 22, 1960, to Edward and Sherrill Schiff in Framingham, Massachusetts. Melissa Robin Schiff, the daughter of Marlene S. Schiff of New York and the late Dr. Haskel Schiff, was married May 5 to Robert Daniel Soros, a son of Annaliese Soros and George Soros, both of New York. Rabbi Dr. David Posner performed the ceremony at Temple Emanu-El in New York. Billionaire George Soros' eldest son, Robert, not only followed in his father's financier footsteps, holding a top post at the family investment fund, he also inherited his dad's famous problems with women. The 50-year-old scion quietly filed for divorce from his wife of 22 years in Manhattan Supreme Court last week, The Post can exclusively report. That means the marriage was already over before Adam Schiff even became a member of the House Intelligence Committee in 2015 where he later was involved in investigating Russian interference in the 2016 United States elections. : Correction: an earlier version of this story incorrectly had the word "daughter" in the headline instead of "sister". Note that the article body said "sister" and it doesn't change the conclusion: there is no family relation between Melissa and Adam Schiff so the claim in the viral image is still not true.